Situated in Saint-Saturnin, this hotel is within 6 mi (10 km) of Leon-Bollee Stadium, St-Julien Cathedral, and Musee de Tesse. Palace of Congress and Culture and Abbaye de l'Epau are also within 9 mi (15 km). Situated in Saint-Saturnin, this golf hotel is within 6 mi (10 km) of Leon-Bollee Stadium, St-Julien Cathedral, and Musee de Tesse. Palace of Congress and Culture and Abbaye de l'Epau are also within 9 mi (15 km). Situated near the boardwalk, this hotel is within 6 mi (10 km) of Leon-Bollee Stadium, St-Julien Cathedral, and Musee de Tesse. Palace of Congress and Culture and Abbaye de l'Epau are also within 9 mi (15 km). How Much is a Hotel Room in Saint-Saturnin? Hotels in Saint-Saturnin start at $30 per night. Prices and availability subject to change. Additional terms may apply. Saint-Saturnin offers travelers and vacationers plenty of ideal accommodation options to choose from. Our comprehensive travel guide is where you will find 28 lodgings within a 6-mile (10-kilometer) radius of the city center of Saint-Saturnin. Are you looking to book a room surrounded by the city lights? Compare the Inter-hotel Alizea and Brit Hotel Les Evens that are conveniently situated within a stone's throw of the town center. You should investigate the Chateau De Vauloge along with the La Barque. The Chateau De Vauloge is 15 miles (25 kilometers) outside of the middle of Saint-Saturnin. The La Barque, is situated 12 miles (19 kilometers) away. 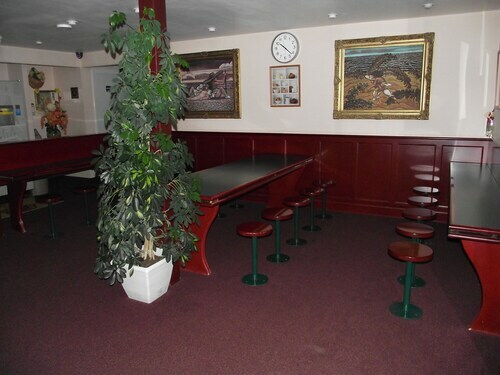 The Best Western Premier Le Mans Country Club and also the Hôtel Concordia Le Mans Centre gare are other alternative hotel options around Saint-Saturnin. If you have time left, adventurous explorers should discover the other scenic and cultural delights of the Pays de la Loire region. Photograph the scenery of Pays de la Loire's rural landscapes and beaches. In addition, you should spend time at some of its castles and traditional villages. In this area of France adventurous visitors may also take up the chance to partake in cycling and beach combing. 25 miles (41 kilometers) away from Saint-Saturnin, you'll find Solesmes, where you can enjoy Golf de Sable-Solesmes and St Peter's Abbey of Solesmes. 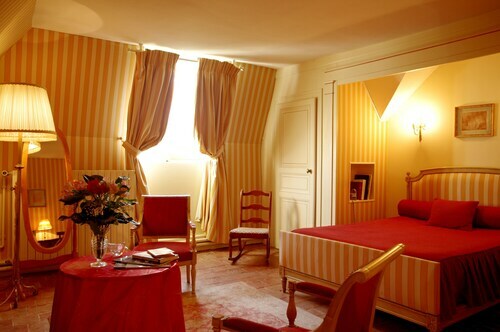 Solesmes accommodations include the Grand Hôtel de Solesmes and Campanile Sable Sur Sarthe. For another option, head to Le Mans, 5 miles (8 kilometers) to the south of Saint-Saturnin, where you have the options of the Mercure Le Mans Centre and Novotel Le Mans. While visiting Le Mans, a couple of sights worth adding to your itinerary are the St-Julien Cathedral and Abbaye de l'Epau. If you are into sports and really like thrilling clashes be sure to visit Circuit de la Sarthe, situated 7 miles (12 kilometers) to the south of Saint-Saturnin. 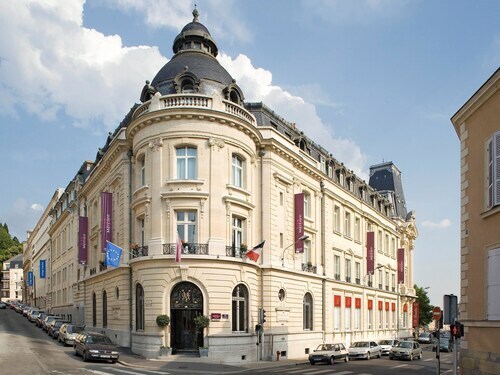 For those who enjoy the convenience of sleeping in the area, book a room in the Hotel Chantecler or Mercure Le Mans Batignolles. For the modern traveler traveling through Tours - Loire Valley Airport, you might want to book Travelocity-listed rooms at Oceania L'Univers Tours, or Best Western Central Hotel, which can both be found a short distance away. 5.0 Nice hotel in town centre. The hotel was very clean and professional looking. Staff (Elodi) was very helpful with the language barrier. Continental breakfast was more than adequate. I found free parking readily available against the building. Room was very spacious. Street was quiet at night. Very close to restaurants and shopping. Booked on the fly. It was a very good choice for the money.